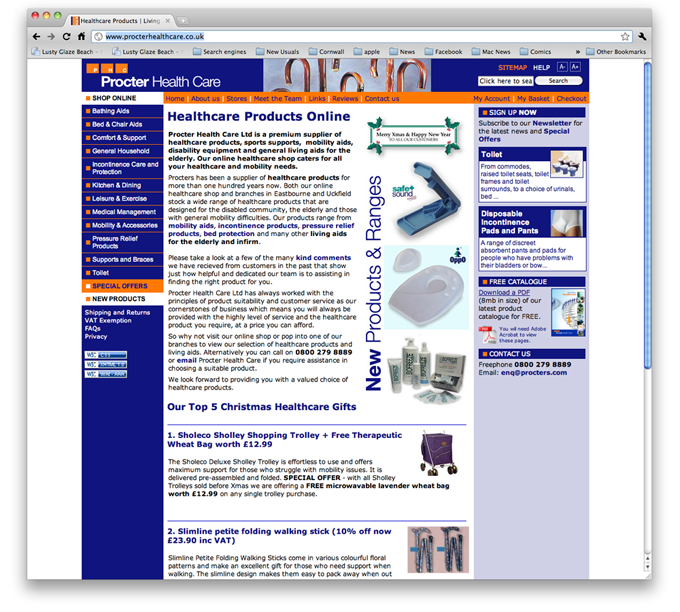 To redevelop the existing Procter Healthcare consumer-orientated website into a fully functioning e-tailing business and use targeted terms to develop new clients. The website utilises both Google and Yahoo adwords PPC to increase exposure and most importantly sales. The website now turns over £100,000+ pa.